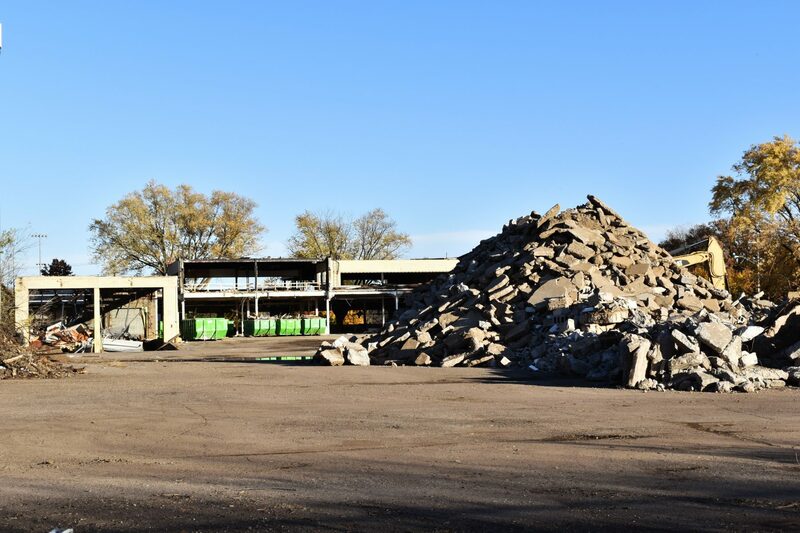 Construction has begun at the former Canada Dry and Shasta bottling plant at the corner of 36th Ave and 28th St in the Longfellow Neighborhood – this photo is of the west side of the old building. The site will be redeveloped into the Hiawatha Collegiate High School. The original building was built in 1948 and provided 70,000 square feet of space for the bottling of ginger ale, sparkling water, cola, lemon drinks, and other carbonated beverages. From 1981 to 1986 the building was occupied by Western Electric Co. and then by a multitude of small businesses and artist studios including graphic designers, blacksmiths, and musicians up until this past summer of 2017. Portions of the old building will be kept and used in the new construction. The school is set to open August 2018.